Historian careers cover a wide variety of jobs, from teaching to researching and restoring historical properties. Finding the right job for you starts with an understanding of the various types of jobs available for historians. Historians are not confined to teaching as their only career option. The growing interest in history by citizens, local governments and corporations, as well as the passage of the 1966 National Historic Preservation Act, has broadened the opportunities for historians. Many historians enjoy combining their love of teaching with their love of history. Teachers in primary and secondary-level grades often teach other subjects as well as history. College-level history teachers usually specialize in an area such as American history or European history. History teacher requirements vary from state-to-state and institution-to-institution. Generally, a teaching credential is required as well as graduate work in history. Many university positions are filled by part-time or non-permanent full-time positions which may have more limited salaries and benefits than a tenured, permanent professor. Most museums are looking for historians with graduate training beyond a B.A. degree. A minimal job requirement is often a Master of Arts in History and several years of experience. Many museums are particularly interested in historians with degrees in public history or museum studies. Some historians are most interested in teaching others about history through magazines, books, journals and documentaries. An undergraduate degree is usually required for an entry-level position at a publisher. More specialized job responsibilities such as editing will require additional training and experience. Companies that produce history publications and documentaries often advertise internships at local colleges. Full-time starter positions in documentary editing jobs usually require a master's degree and some documentary editing experience. A PhD is usually required for documentary directors. 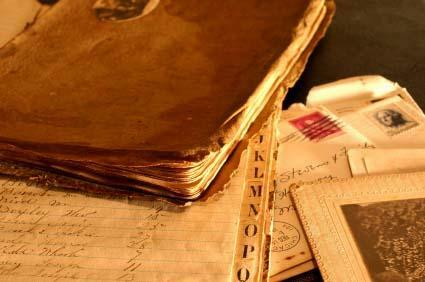 Archivists are the caretakers of historical information. They arrange, describe and provide access to collections of historical information. Some archivists also do historical research. An archive can be a small unit owned by a historical society or corporation or a massive collection in a larger museum. Most archives require a master's degree in history or library science for entry-level positions. Archival education programs usually include a combination of both degrees. Continuing education classes are available by several of the archivist professional organizations. Preservationists combine historical training with the willingness and ability to work with individuals and institutions. They are responsible for preserving the historical integrity of parks, homes, buildings and archaeological sites. Historical preservationists can work for governmental entities such as the National Park Service, national historical sites such as Mount Vernon as well as state and local governments to research and protect historical properties and to provide educational programs about the properties. Most federal and state positions require a master's degree in history or a significant background in historical preservation. Many history programs include coursework or certification in historic preservation. A background in urban planning and real estate is often a good addition to the resume of a historical preservationist. Local governments and nonprofit organizations often use volunteers to spearhead their preservation efforts, do the research and writing and present their results to the community. These historians are responsible for maintaining the archives, museums and properties which are owned by governmental agencies. Their job responsibilities include everything from archiving current collections, searching out new items, educating citizens about the collections or properties and fund raising to support acquisition, research and maintenance budgets.